Five months of excruciating negotiations between Kyiv’s cash-strapped leadership and some of the world’s biggest commercial creditors have reached the finishing line with the outcome still in serious doubt. At issue is both a debt burden of around $19 billion, and the very economic future of Ukraine – a vast former Soviet republic straddling the diplomatic no-man’s-land between the European Union and an increasingly assertive Russia. The possibility of Ukraine either outright defaulting on its obligations, or imposing a payment freeze, could shut Kyiv out of global borrowing markets and severely hamper its IMF-led austerity and economic restructuring drive. The International Monetary Fund has patched together a $40 billion rescue package that could wean Ukraine off its reliance on Russia and turn it permanently toward the West. But that deal includes finding a compromise with bondholders that could save the nation of about 40 million people $15.3 billion over the next four years. Franklin Templeton and three other financial titans that own $8.9 billion of that sum believe Ukraine is in strong enough shape to repay the debt in full and more or less on time. The four have rejected Kyiv’s request to accept a 40% cut to their Eurobonds’ face-value and instead offered a conditional write-down or “haircut” of between five and 10%. What Kyiv described as the “final” round of discussions between US-born Ukrainian Finance Minister Natalie Jaresko and Templeton managers at their base near San Francisco concluded without a deal. But several sources with knowledge of the negotiations said a major debt announcement of some sort could come as early as today (21 August). Economists agreed that the time for such a breakthrough could hardly be more ripe. “Some agreement should be reached this week,” Dragon Capital economist Olena Bilan said. But one source close to the issue told AFP on Thursday that “legal and administrative considerations” were pushing back the deal’s disclosure into next week. Time is of the essence because the IMF’s support package requires Kyiv to restructure a $500 million Eurobond that matures on 23 September. Yet talks with all the various investors – stipulated to take no more than three weeks – cannot effectively begin until terms with the Templeton-led group are reached. 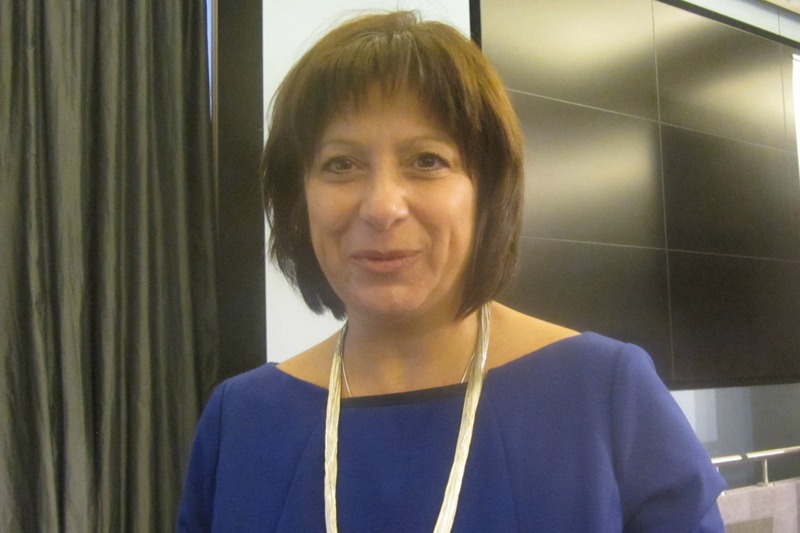 Jaresko has warned repeatedly that Ukraine could impose a repayment moratorium as early as this week. The decision would save Kyiv $60 million in interest payments that come due on Sunday (24 August). The big downside is that it would also find the government facing possible lawsuits and exorbitant future borrowing costs. The IMF and Washington have both pressed the creditors to accept some short-term losses to help the strategic east European nation to stand up to Russian “aggression” and eventually become a full member of the European Union. But economists said a workable compromise would probably see investors accepting a rather severe “haircut”. “The fair value of Ukrainian bonds is closer to 46 cents per dollar, versus the current 58 cents, which would imply a 35% haircut, an eight-year maturity extension and a four-percent coupon reduction,” Oxford economics researcher Evghenia Sleptsova told AFP. Some said they expected the two sides to agree somewhere in the middle – a big write-down that included “sweeteners” such as a promise by Kyiv to pay back more should its economy perform better than expected next year. “We maintain our view that Ukraine will press the creditors for a nominal haircut of at least 25%,” said Kyiv’s ICU Group analyst Alexander Valchyshen. Talks to restructure $23 billion of Ukraine's external public debt have dragged on for more than four months. Ukraine has been pushed to the brink of bankruptcy by years of economic mismanagement, corruption and a conflict with pro-Russian separatists. An international bailout programme to shore up its finances depends on Kiev making $15 billion in savings via debt restructuring. The cash-strapped former Soviet nation must strike a debt restructuring agreement before it is due to make principal and interest payments of more than $500 million on a Eurobond maturing on 23 September. Kyiv has repeatedly warned it could call a moratorium on debt payments if an agreement is not reached soon. It has a coupon payment due in late August. A Saakashvili take over would definitely push Ukraine into a full blown war with Russia. However, there are mounting signs that Poroshenko may be planning a renewed military assault on the rebel strongholds of Donetsk, Lugansk, and other Donbass areas. This raises two large questions. Since Kiev alone cannot hope for a military victory and would likely suffer a crushing defeat, is it counting on US/NATO support. And if such support is forthcoming, will Russian President Putin have any choice except to send in his own forces, resulting in war between the United States and Russia? Now might be a good time for all Europeans to revisit the movie “Dark Circles” and contemplate what a victory for Ukraine will cost down the road….say twenty years later. The golden goose just got slain today, US stock market is down over 700 points in the past 18 hours which means EU won’t be far behind. Ukraine avoids default for now, it won’t the next time if they continue with their war in the east.